Kirkuk (Iraq) (AFP) - Kurdish, Arab and Turkmen children sit in the same classrooms at a school where Islamic and Christian education textbooks are stacked on the same tables. Mariamana school in the Iraqi city of Kirkuk is a rarity in a country whose unique cultural, religious and ethnic mosaic is threatened by conflict and sectarianism. "The main idea was a school that would be attended by different ethnic and religious groups... in order to rid society of that tension," said Zakia Matty Dawood, the headmistress. The school was the brainchild of Chaldean Patriarch Louis Sako who was still Kirkuk archbishop when it opened its doors in 2012. The number of pupils has now tripled to 150, including around 100 Muslims and 50 Christians aged six to 12. "I like my school because I learn here, because I play with my friends," said Hamza, a nine-year-old wearing a neat white shirt and red tie. The pupils seem to have little notion of what makes their school special and that in itself is a victory for the staff's endeavour to promote an unsegregated society. "They go to school together, they become friends... Even their parents are coming together," said the headmistress, a Dominican sister donning her black and white habit. Some parents are keen to send their children to a school that reflects the diversity that Kirkuk, Iraq's most culturally composite city, symbolises. "This school's success shows that many Kirkuk residents do not want their town to be divided along sectarian and ethnic lines," said Camurat, whose group helped fund the project. Kirkuk is an oil-rich region that lies on territory contested by the federal authorities in Baghdad and the autonomous Kurdish region in the north. It is also home to many of Iraq's feuding factions -- Arabs and Kurds, Sunnis and Shiites -- and has therefore often been portrayed as a tinderbox that would sooner or later erupt into bloody conflict. "It is shocking how little Iraqis know about each other's cultures," said Saad Salloum, author of several books on Iraq's minorities and chairman of Masarat, an institute promoting cultural exchanges. "It is easier to kill somebody you don't know," he said. 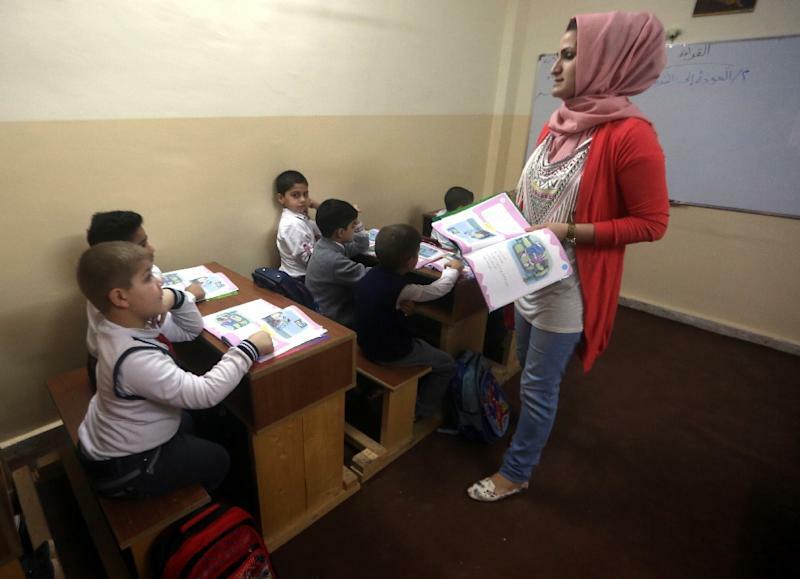 But the quality of the education is the foundation of Mariamana's success, said Dawood, squaring a pile of books whose titles include "Koranic Education", "Jesus Loves Us" and "English in Iraq". The school was voted best primary school of the Kirkuk governorate this year and notched up several other provincial and national honours. Sending children to Mariamana costs around $700 a year, a relatively low fee that can even be waived for the neediest families. Thirty of the pupils were displaced by the Islamic State jihadist group's devastating offensive in the summer of 2014. Minorities were among he first victims of the jihadist assault. "We all live together, as students and as teachers," said Dunya Akram, the school's 25-year-old English teacher. An excavator is already at work to build an annex that will house a kindergarten as demand for Mariamana's educational model keeps growing. The current Chaldean archbishop of Kirkuk, Yusef Thomas Mirkis, said Dominican sisters have a long tradition of providing educational and health services in Iraq. He said the Christian schools of Iraq were once a bridge between the West and the East but their impact faded after all schools were nationalised in the 1970s. "We have resumed this little experiment in Kirkuk," he said. 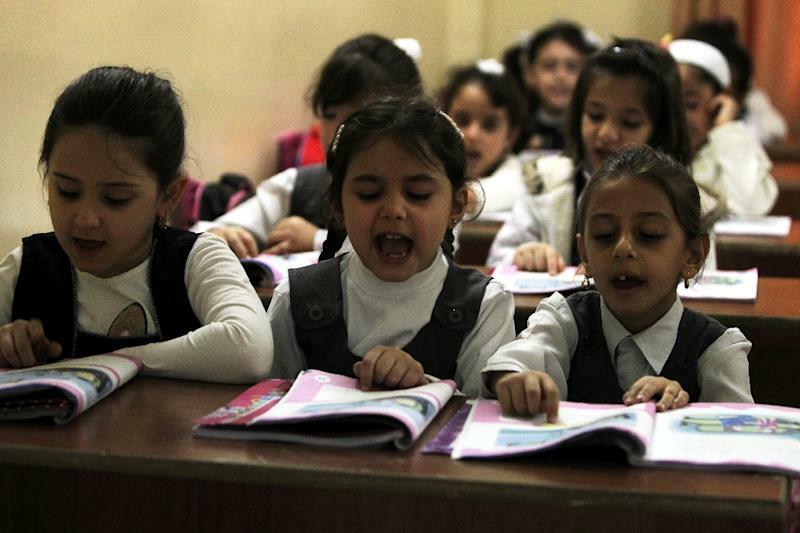 Replicating Mariamana's model in other Iraqi cities could be a challenge, but the prelate sees the school's success as a reason to keep faith in the future. "Mariamana is a little oasis... hopefully a swallow that announces spring," he said.